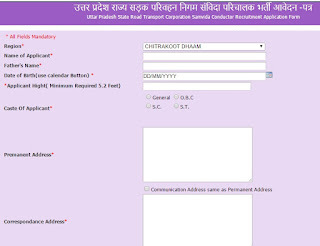 UPSRTC Recruitment 2017 - Apply for Conductor / Samvida Parichalak Posts - Uttar Pradesh State Road Transport Corporation (UPSRTC) had issued an advertisement for 668 Conductor (Samvida Chalak) posts in Jhansi, Chitrakoot kshetra banda, Lucknow, Allahabad, Moradabad, Gorakhpur, Varanasi, Agra. If you have fulfill the requirements given below then apply online using the link provided here. Age Limit: 18-40 years (relaxations applicable). Intermediate and one more requirement mentioned below. General & OBC category: Rs. 200. Selection process: A category-wise merit list will be made on the basis of marks obtained in intermediate. 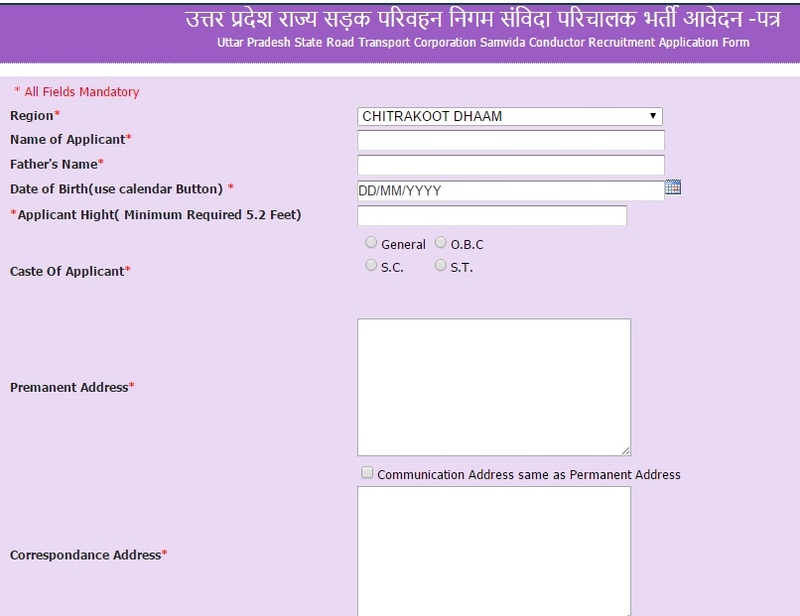 For all details, check out the UPSRTC Conductor Bharti notification from below.